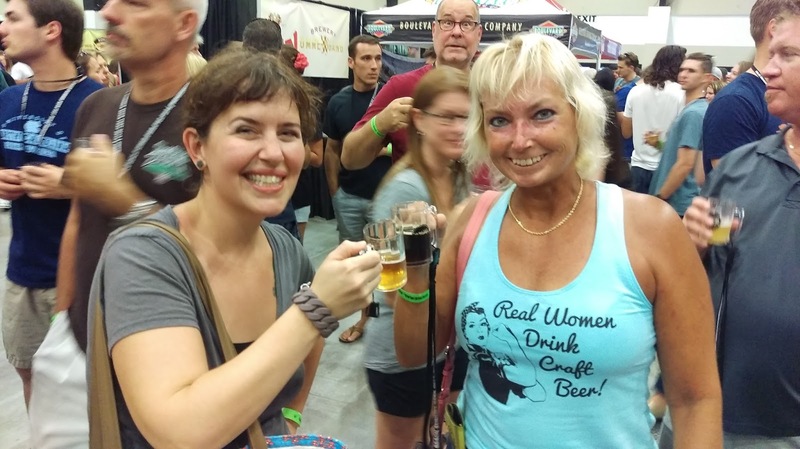 BrewNymph®: Back Again at Palm Beach Summer Beer Fest! 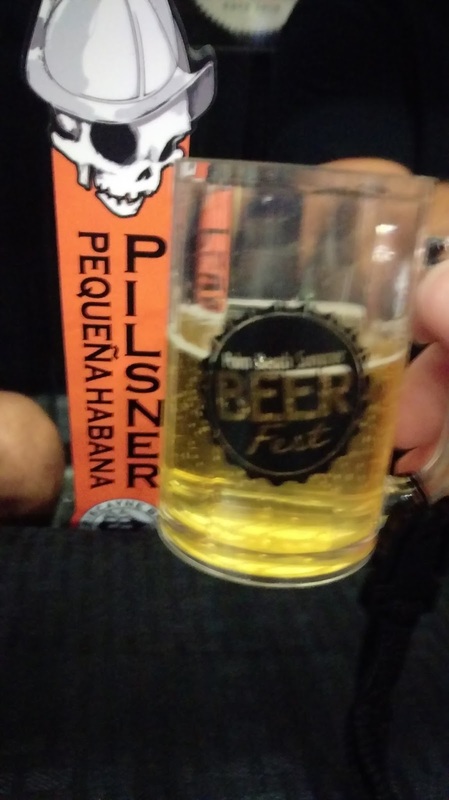 Back Again at Palm Beach Summer Beer Fest! 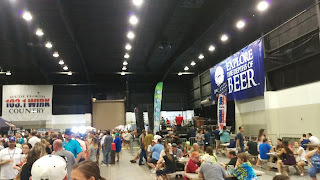 Three-for-three: One of my favorite places in Florida to visit, and one of my favorite beerfests! The 3rd Annual Palm Beach Summer Beer Fest happened this past weekend (July 25) at the South Florida Fairgrounds and Expo Center in West Palm Beach. And, yes, this was my third year attending! There's a lot to like about this fest, but the big draw is that it's held indoors inside the Expo Center (what heat, what rain?). 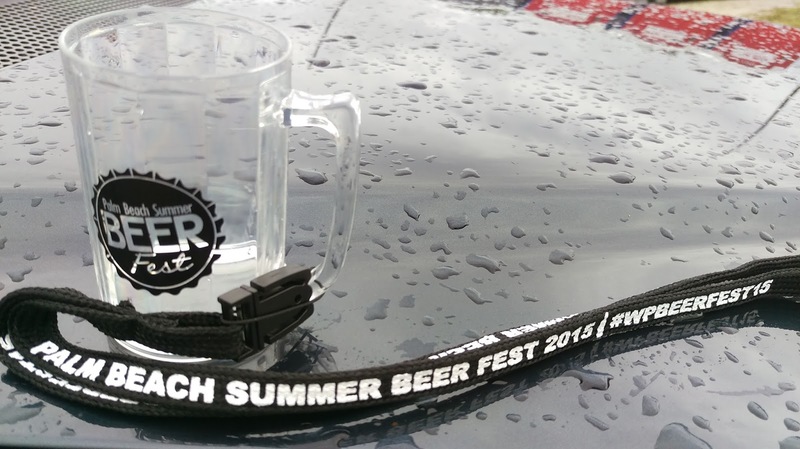 The scene was similar to last year's fest: here's my 2014 blog post. 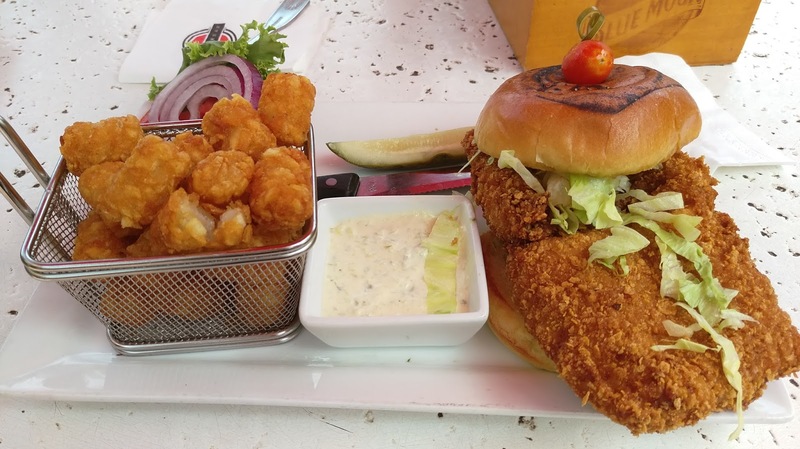 But, before I get to the fest, I'm going to start this post where I left off last year: with what I somewhat ceremoniously called the "foodgasm." Last year's after-fest dinner visit became this year's pre-fest lunch visit, and I was looking forward to it while heading South on I-95 from North Florida. 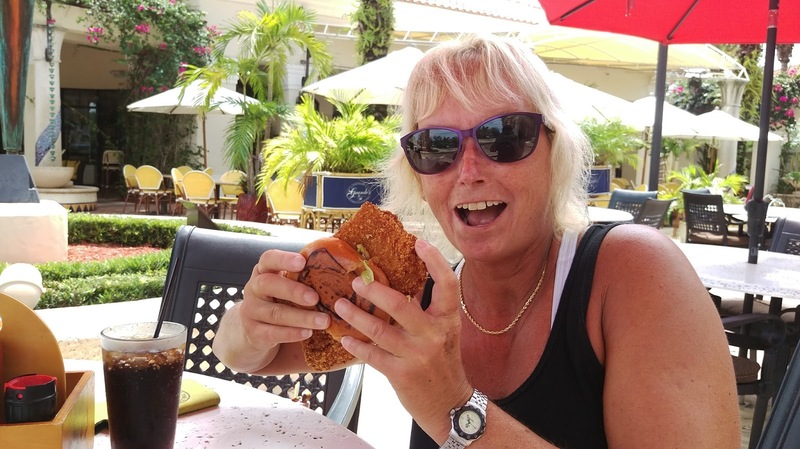 Hello again, Burger Bar - Palm Beach Gardens. 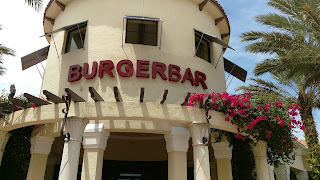 Burger Bar is located at 4650 Donald Ross Rd., in Palm Beach Gardens, just a couple miles east of I-95 and almost across the street from the Abacoa community (Sidebar: I love Abacoa; good golf there, along with a really cool town center; home to another one of my favorite fests, the Jupiter Craft Brewers Festival in January, by the way). Open up and say MAAHHHI! 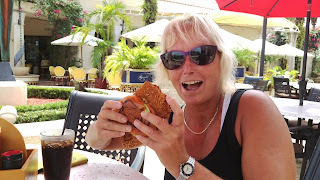 I haven't had any of the burgers at Burger Bar, but I suspect they're pretty amazing, too, from the menu descriptions. I don't know if I can ever be torn away from that mahi, though. Maybe that's what a to-go box is for. Next time. Burger Bar has outdoor and indoor seating, and two bars. An eclectic setting inside. 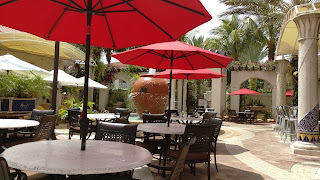 I sat outside in the courtyard; there was a nice breeze, and the cloud cover kept the temp comfortable. 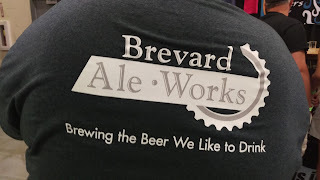 There's a full liquor bar, and a good selection of beers available that will suit all tastes (although I might suggest adding some of the awesome local South Florida beers to the menu). And, if you're looking for something really adventurous, try one of their "adult" shakes (liquors and ice cream --ooooh). 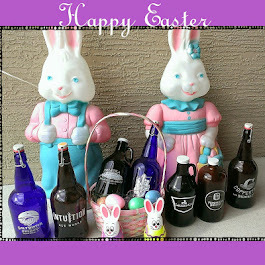 My focus on this visit was on the food, because, hey, I'm on my way to a beerfest! Next time I'm around Palm Beach Gardens/Abacoa, I'll be back here! 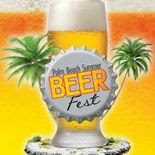 Palm Beach Summer Beer Fest is four hours (1-5pm) of beer sampling, music, and mingling with other fellow beer lovers, all in the comfort of the indoor Expo Center. 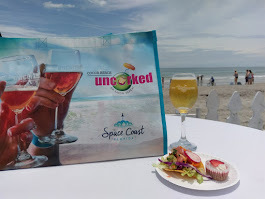 If you went the VIP route, add on some special beers from Saltwater Brewery, Barrel of Monks, and new local brewery Twisted Trunk Brewing, along with a food buffet and additional swag. It's set up "expo-style," with beer booths along the perimeter and up and down aisles of the expo hall. In case you got hungry, local food trucks were set up outside, easily accessible from an expo entrance/exit. Throw in a main stage with live music all afternoon and a silent disco, and there's no shortage of entertainment. 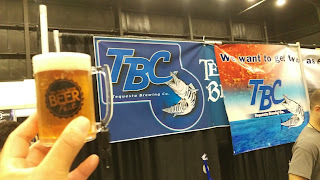 Once again, the main stage was sponsored by SaltWater Brewery, from just down the road in Delray Beach (another one of my favorite breweries to visit!). The fest was configured just a bit differently from last year, starting with a different entry point, and although there were some lines (oh, c'mon, there's always a line to get in these fests), entrance was pretty smooth. 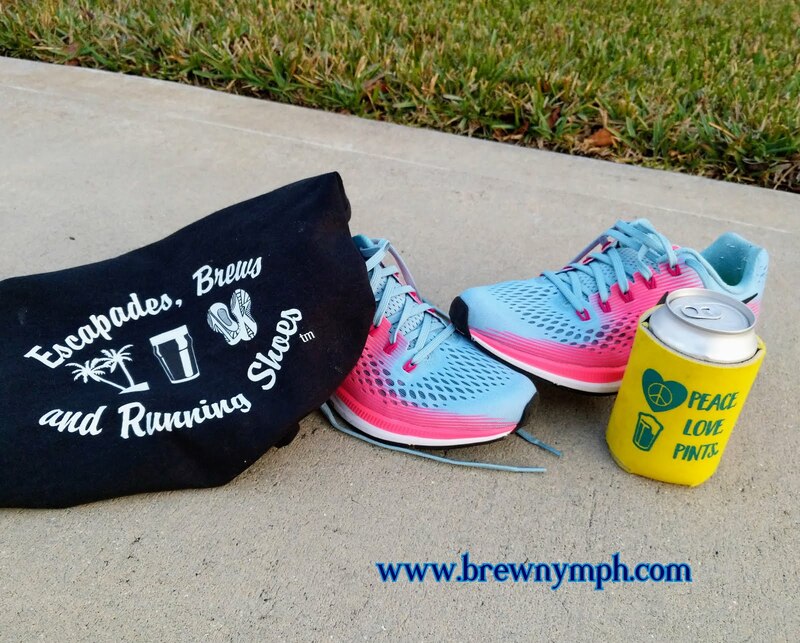 Grab your Fest cup, and let's go! 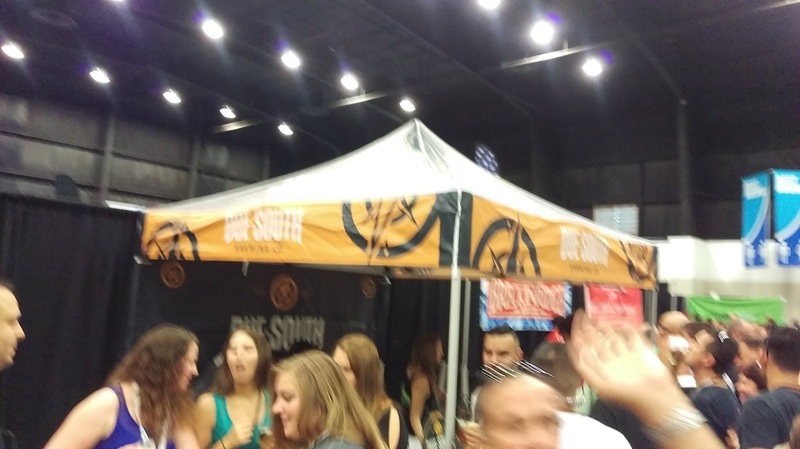 The first thing I noticed that differed from last year was that the Florida breweries were positioned all around the venue, not all in the same aisle. That was a huge bottleneck last year, and the new arrangement took a little of the pressure off. But, there were still the huge crowds around local SoFla favorites that you'd expect: Saltwater Brewery, Due South Brewing, Funky Buddha Brewery, Tequesta Brewing/Twisted Trunk Brewing. 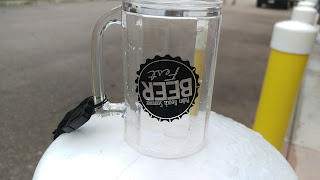 You can check out the brewery list from the Fest website, but the Fest included South Florida, Florida, regional, national and international breweries and beers. Of course, the "usual suspects" were here. In addition to the Palm Beach area breweries mentioned above, Miami was well-represented, too: Concrete Beach Brewery, Wynwood Brewing, J. Wakefield Brewing. Local newcomer Devour Brewing, Florida Beer Company, and Cigar City Brewing were here, too. Too many to list! Check out that tap handle! 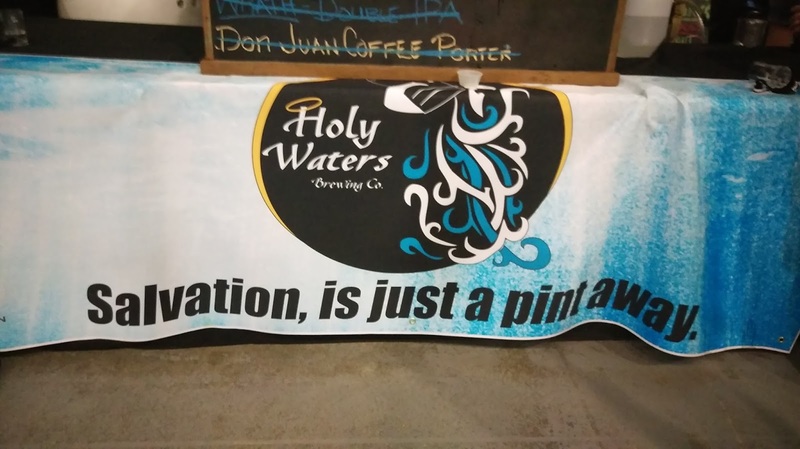 Good to see Joe from Holy Waters Brewing again! 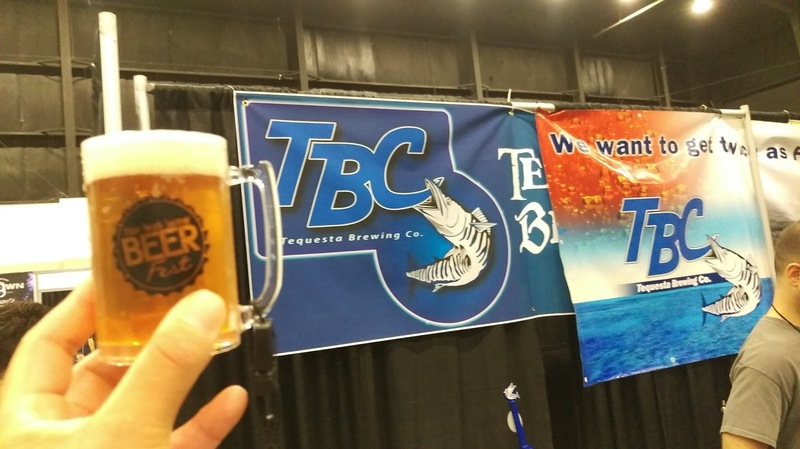 Tequesta Brewing with beer ingredients. 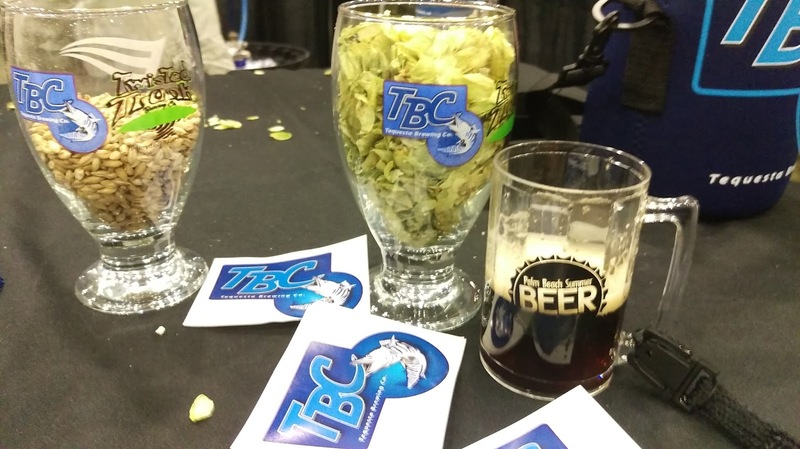 That's a TBC "Latest Batch" Schwarzbier: so good! In between checking out the beers, I ran into some "beer people" I already knew, and met some new beer friends from the social media world, too. 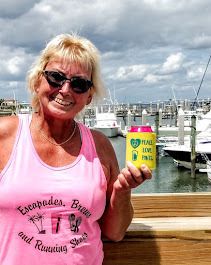 I had a fun time hanging out with Palm Beach Girls Pint Out! 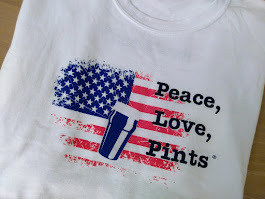 Great to see Palm Beach GPO, Florida Craft Beer, and Florida Beer Blog! And, I spent some time talking beer and brewery stuff with the guys from brewery-in-planning Brevard Ale Works from Melbourne. 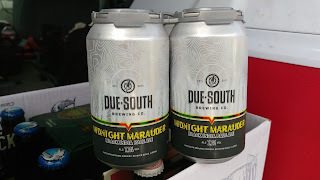 I won't go through the whole beer list (and, no I didn't blow up Untappd), but there were some creative beers that stood out. 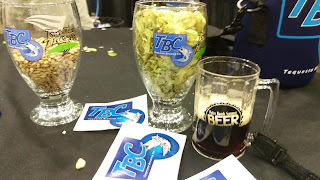 Tequesta's Last Batch Schwarzbier, an almond coconut dark lager, with chocolate, coconut, and nuttiness (in the flavor) was quite tasty. Holy Waters' Chocolate Malt IPA combined true IPA bitterness with chocolate, and the result was pretty heavenly. Twisted Trunk's Lucky Langer Lager had a nice bite at the end, and was a good, solid lager. And, J. Wakefield's 24th Street Brown Ale was exceptionally good. All in all, another great year at Palm Beach Summer Beer Fest! But, it had to end sometime. It even rained, but not on the beer! limited release. WooHoo! Awesome, by the way! 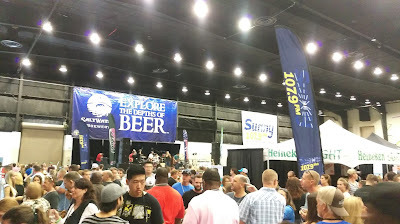 That's a wrap on another Palm Beach Summer Beer Fest, and, I'm looking forward to coming back for No. 4 next year! 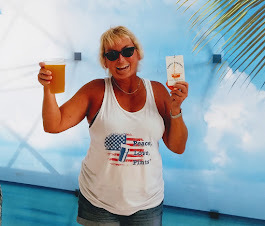 Til next time, Cheers! 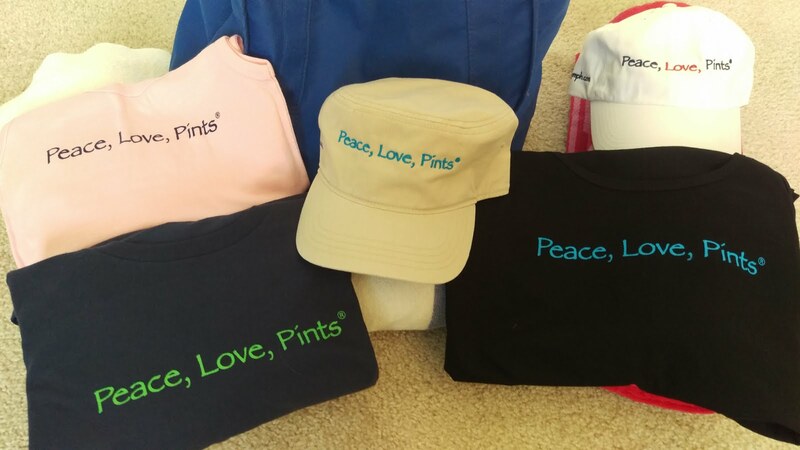 See you out there at a beerfest, beer event, bar, restaurant, beach, around Florida Somewhere! And, hey, don't be shy: I would love to talk to you! So, if you see me out there, say Hi.